W M Birchall (American; b.1884). 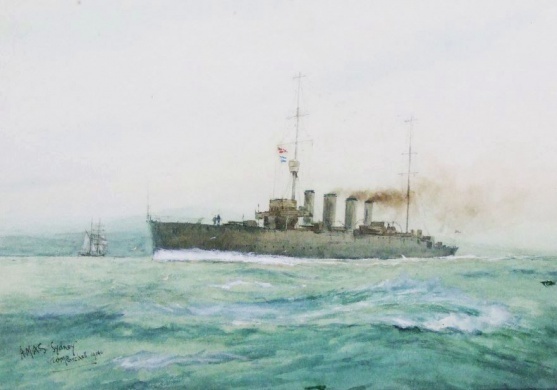 Watercolour signed, dated 1914 and inscribed HMAS Sydney(LL). Provenance: Bonhams, London Marine Sale October 1997.